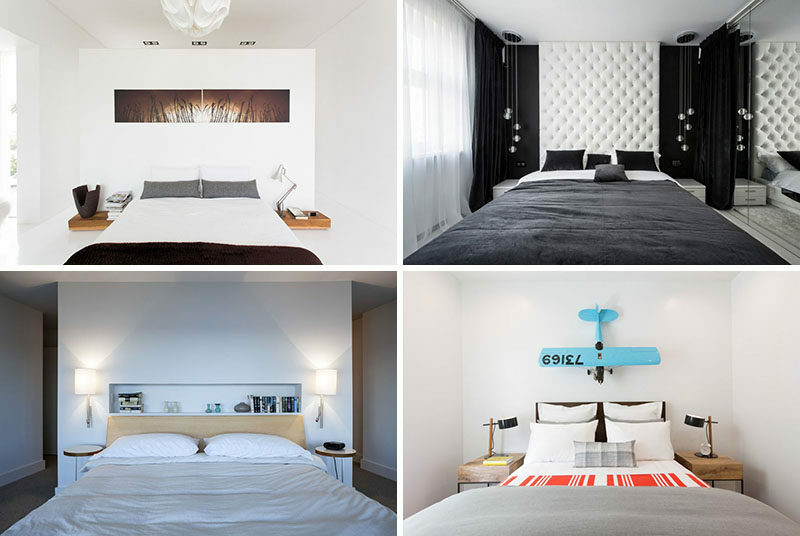 The space above the bed can be tricky to fill. Whatever you put there has to be reflective of you and your personality, but it also has to compliment the rest of the room. 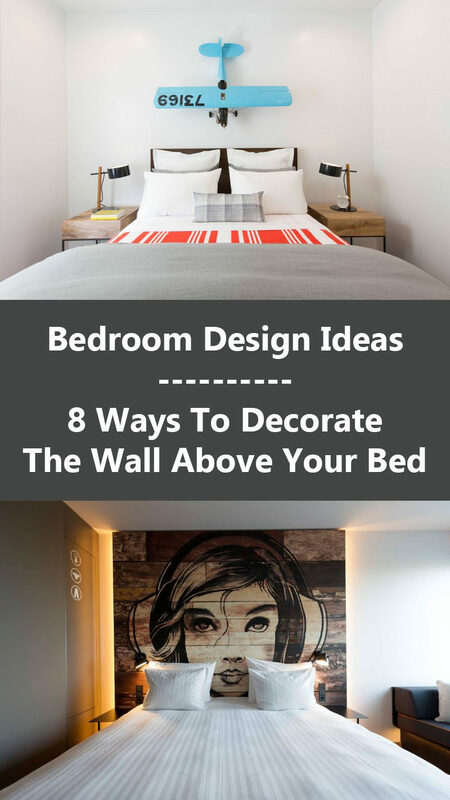 To help give you some ideas of what you can put up there, here are 8 ways you can decorate above your bed. 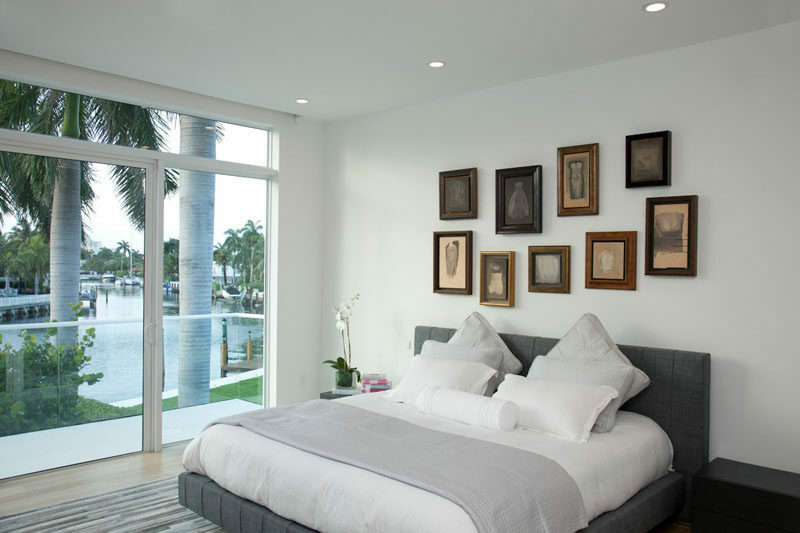 What better place to hang a favorite piece of art than above your bed. 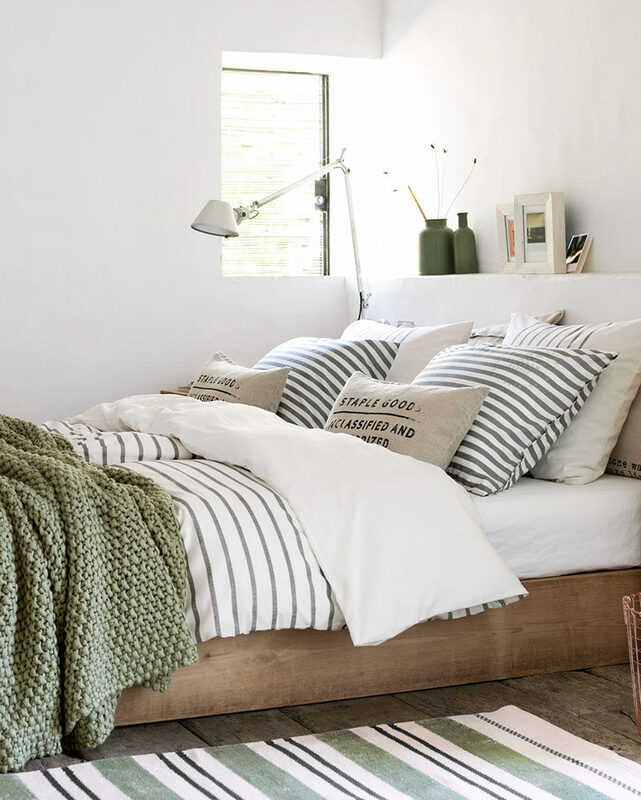 It’ll fill the empty space and adds personality to your bedroom. See more photos of this home, here. Designed by 2B.GROUP. Photography by Andrey Bezuglov and Slava Balbek. See more photos of this home, here. 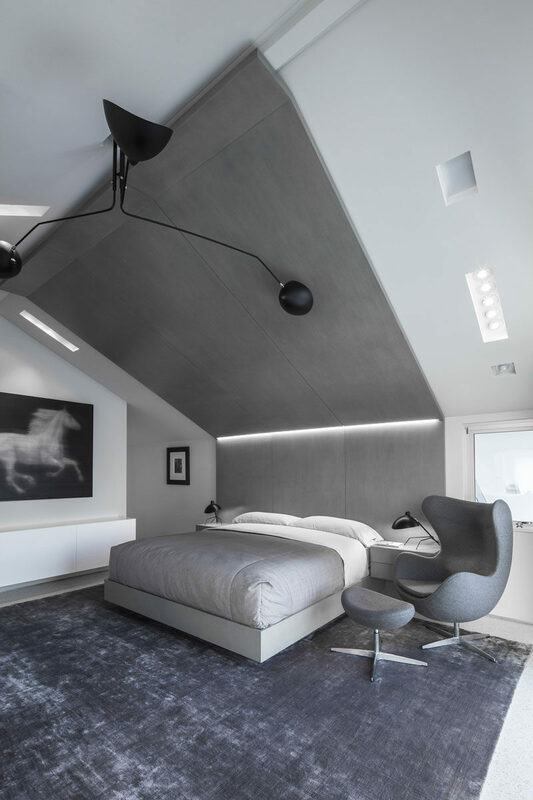 Designed by SDH Studio Architecture | Design. Photography by Robin Hill. See more photos of this home, here. Designed by Grobler Architects. Photography by Clinton Grobler. 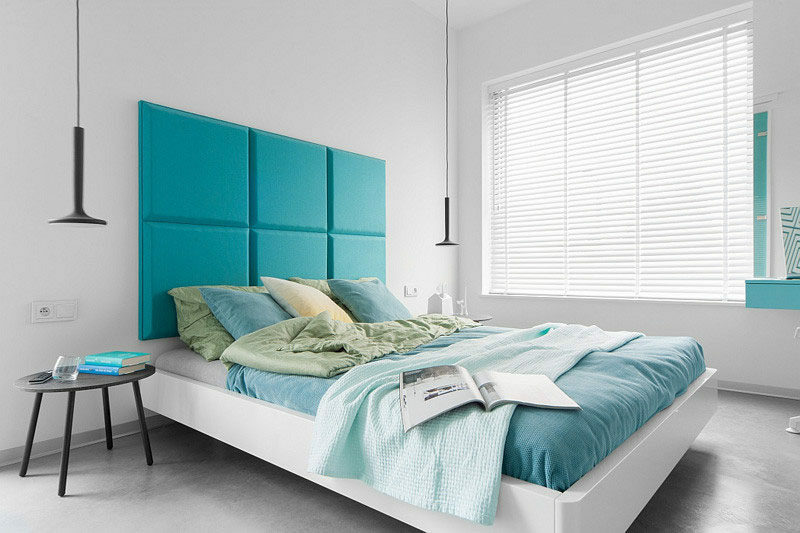 Using a large headboard fills empty space, can add a pop of color to the bedroom, and makes reading in bed a little more comfortable. See more photos of this home, here. Designed by Geometrix Design. Parametric modeling and CNC-documents: Simplex Noise. Photography by Kamachkin Alexander. 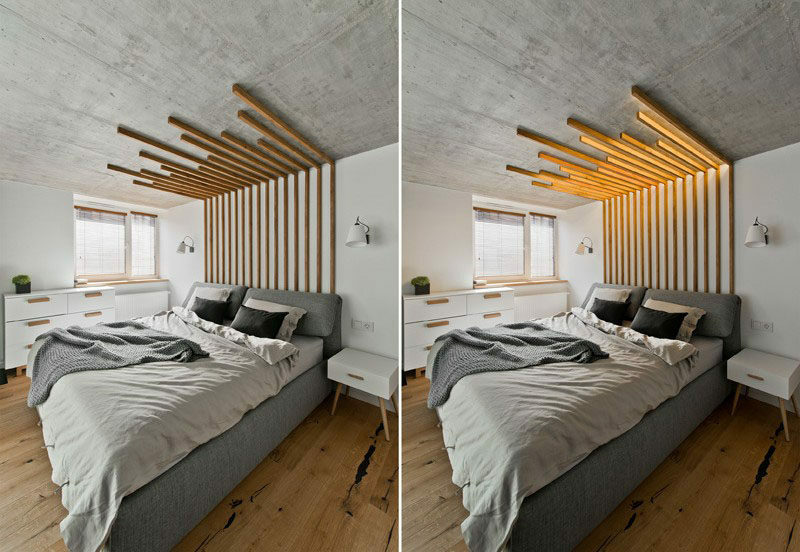 3D sculptural pieces add dimension, color, and personality to the empty space above the bed, and are a great way to showcase your passions. See more photos of this home, here. 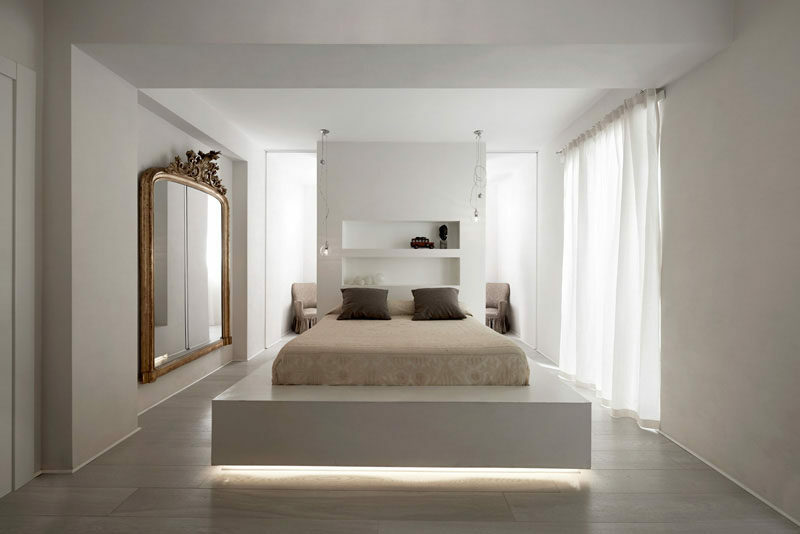 Designed by Cecconi Simone Inc. Photography by Joy von Tiedmann. See more photos of this home, here. Designed by Robert Kerr Architecture. Photography by Art Gray. 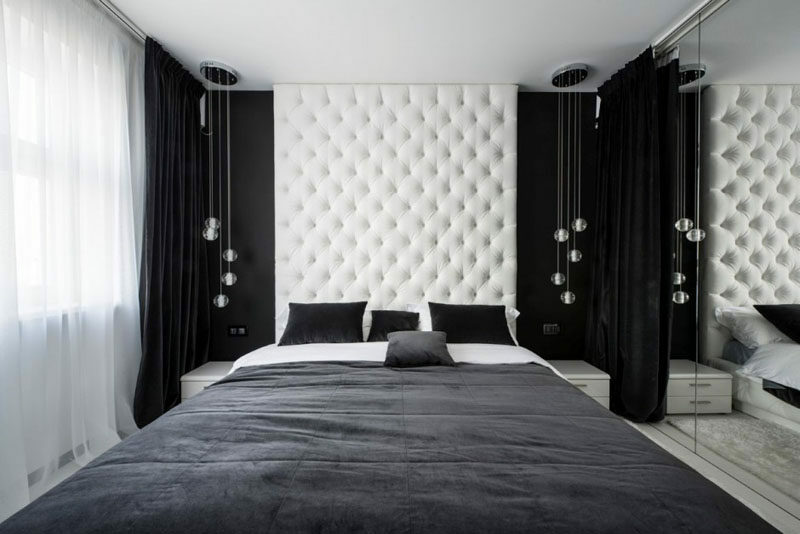 Carrying the headboard all the way up to the ceiling above the bed makes a big statement. See more photos of this home, here. Designed by Patrick Tighe Architecture. Photography by Art Gray and Bran Arifin. See more photos of this home, here. Designed by InArch. Photography by Leon Garbacauskas. 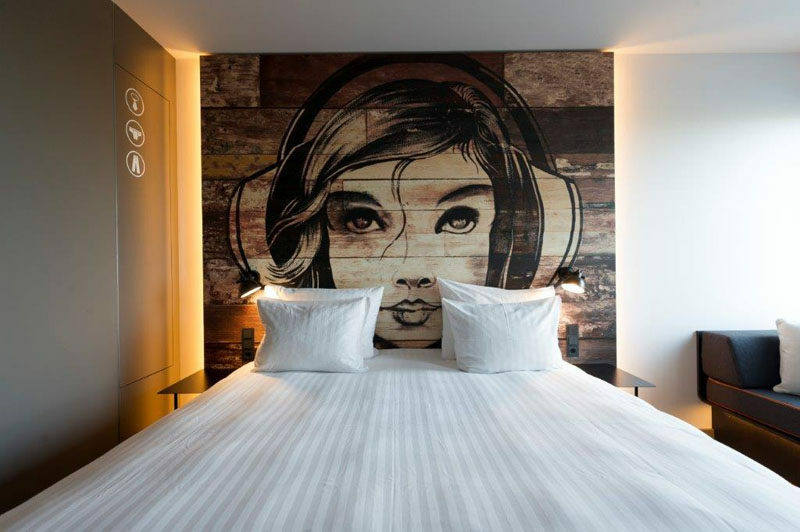 Painting a mural on the wall behind the bed is a bold move that can be dramatic. See more photos of this hotel, here. Inspiration from the JAZ Hotel. See more photos of this home, here. 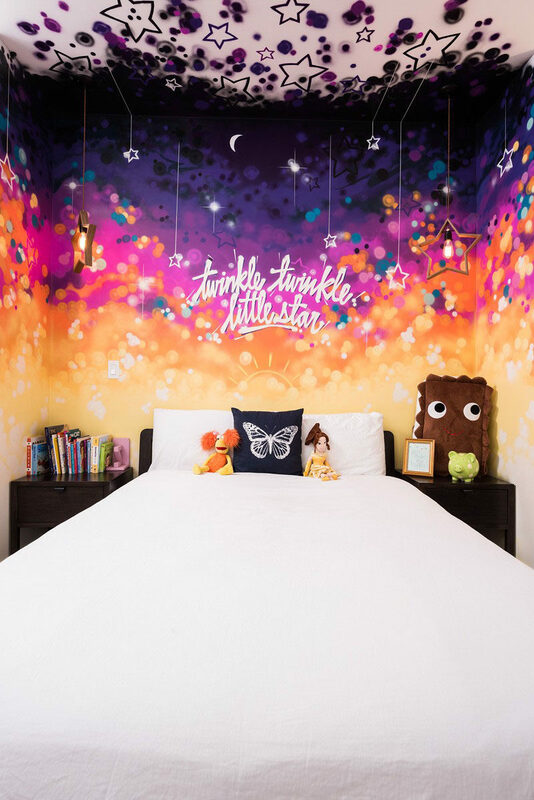 Designed by Beyond Homes and BBLOC. 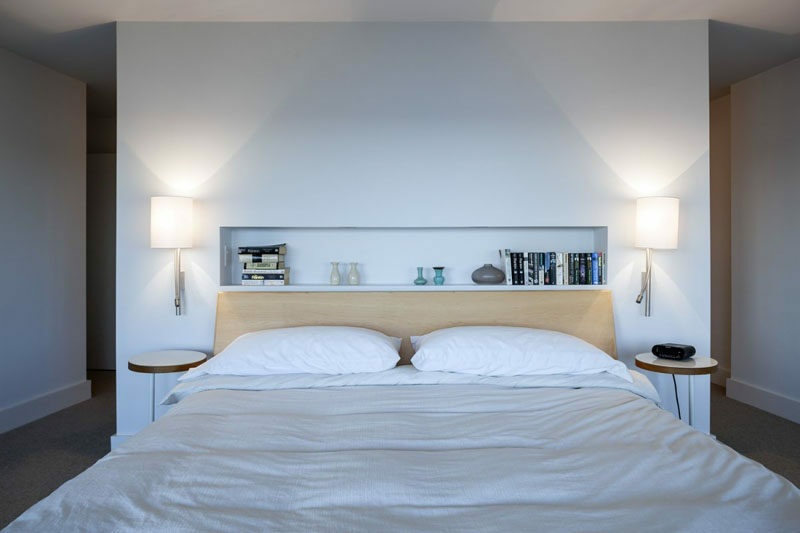 An empty wall above the bed is the perfect place to put a light fixture or two. 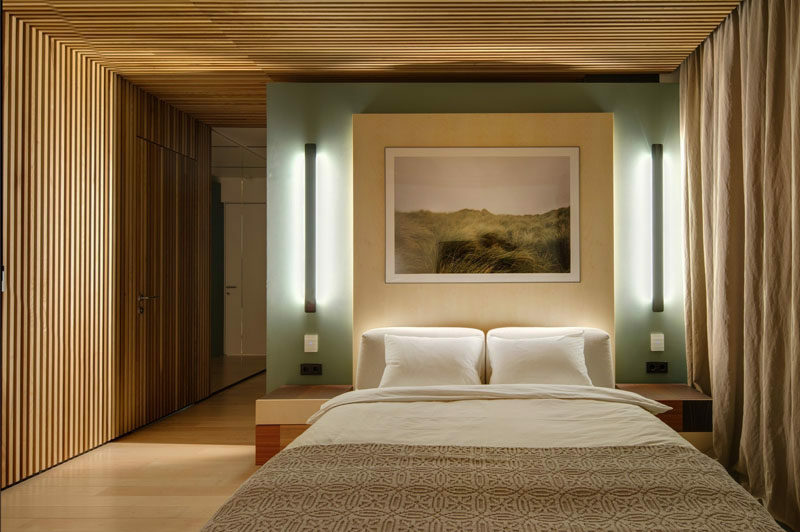 They’ll brighten up the room and can add a sculptural element to it, as well. See more photos of this home, here. 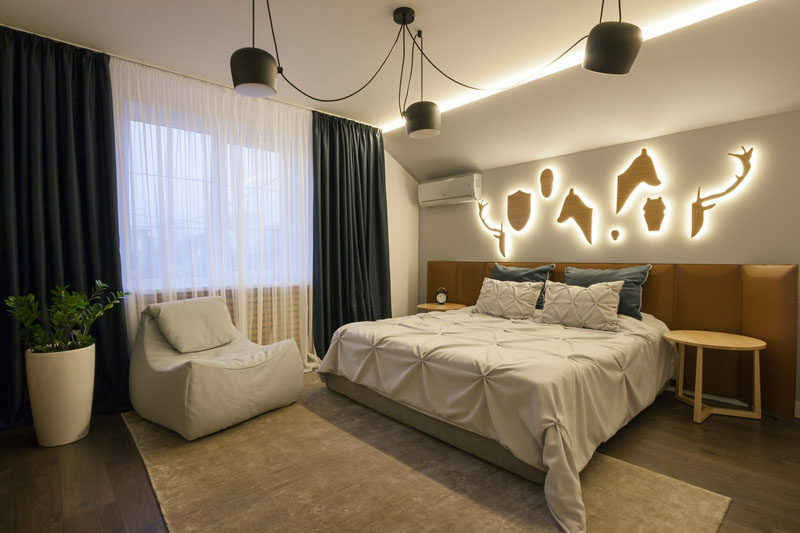 Designed by SVOYA Studio. Photography by Tatiana Kovalenko. 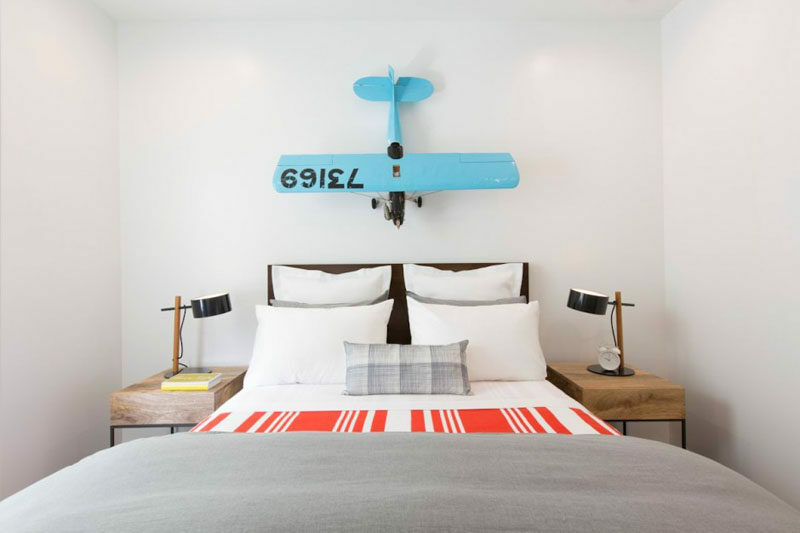 Adding shelves above the bed adds an extra space for storing things and can keep your favorite little bits and pieces close to you while you sleep. See more photos of this home, here. Designed by Rajiv Saini. 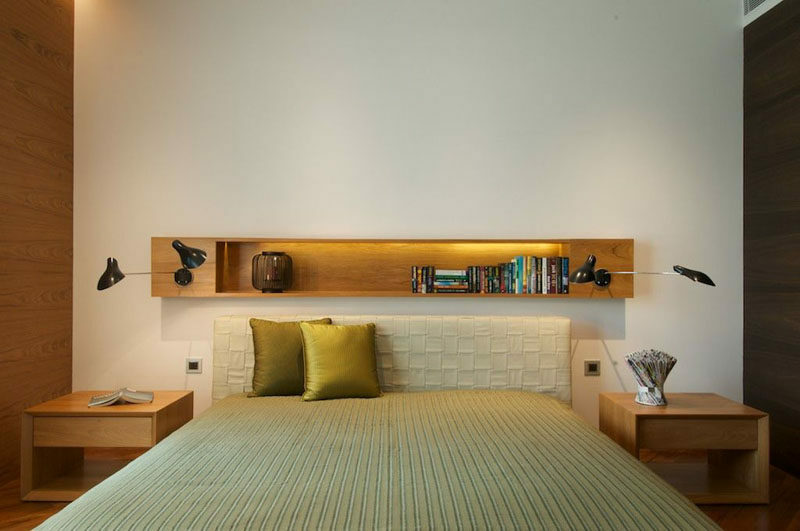 Different from regular shelves in that these are built right into the wall, built-in shelving above the bed provides a space to store a few small things you like to keep near by at night. See more photos of this home, here. Designed by Altius Architecture. Photography by Jonathan Savoie. See more photos of this home, here. 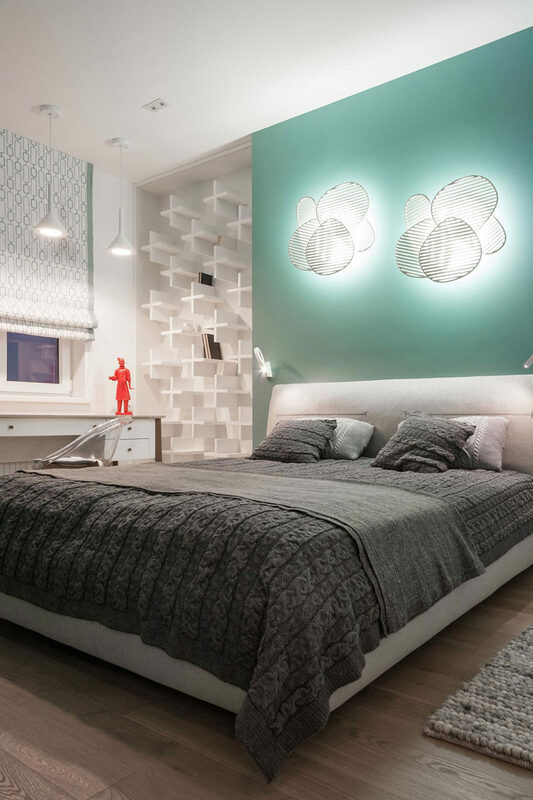 Designed by Carola Vannini. Photography by Stefano Pedretti.